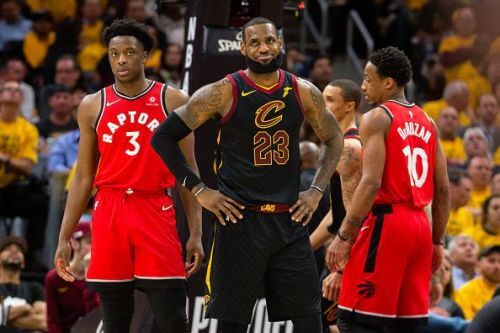 For the second time in as many years, the Toronto Raptors get eliminated by LeBron James and the Cleveland Cavaliers with a sweep. 4-0 last year and again, 4-0 in the 2018 NBA Playoffs. Maybe they fought harder with their new system but unfortunately, that doesn't show on the final series sheet. That's about a sweep but in actuality, this is the third time in a row that the team from the North have gotten eliminated by LeBron and the Cavs. They just can't seem to get past that hurdle and this time everybody thought they were primed to get the monkey off their back but again it didn't happen. Twitter didn't hold back to the Raptors' getting swept! G1: second team in 20 years to lose a playoff game after leading for all of regulation. Cavs really just swept the Raptors. This was supposed to be a breakout year for the Raptors.